What part of the DC region is the artist tied to and how? Where is the artist's current home base if not DC : From Sterling, VA. Grew up playing shows in and around DC. Now based in Nashville, and touring through DC every month or two! One time, I had a show in DC, and was taking a bus from Knoxville. It was early March (I think 2015? ), and the bus was cancelled from snow. I ended up finding a ride on Craigslist from an Iranian fashion designer named Farshad. We drove through the night as he smoked weed from a pipe disguised as an inhaler and showed me Buddhist meditation CDs. He was very clear that I should tell no one he was driving up the east coast and not in San Francisco where he was supposed to be, as if there was anyone I could tell. We still keep in touch to this day! One of my first times driving on my own was with a stick shift in DC in rush hour. Still to date this might be the most stressful experience of my life, but I guess 16-year-old me learned a lot by stalling in the middle of an intersection and getting honked at from all sides. Anything else we should know, or you want to share: General bio info: The 3 EPs I have out are drastically different than songs I'm releasing this year – though I do have one new single out that sounds more like me today (PCH – Amplify Sessions). Last year I wrote 100 songs in 100 days on YouTube. I spent 2016 living out of my car on tour, and am spending most of 2017 writing in Nashville. I have one song that's not good for FCC – Love You Lazy, off my "Dotted Lines" EP from 2013. At least 3 interesting/entertaining facts about the band that are related to persons/places/things/events that happened in the Washington DC area. Give us fun stuff, not normal bio stuff! : 1) We originally formed in Austin, Texas before relocating to DC in 2013. 2) In Austin, we were awarded our own band holiday, "Aaron Tinjum and the Tangents Day" by official proclamation from the Austin Mayor and City Council on 10/11/12 for our contributions to the local music scene. 3) Since moving to DC, we''ve opened for the likes of James McCartney, Sam Amidon and Kawehi. We also released our new full-length album "Foreign & Domestic" in January with a release show at Rock & Roll Hotel with Louis Weeks & Kitchen Noise. 10/09/18 - Special Guest: Brent & Co. Anything else we should know, or you want to share: I aim to write very introspective, intimate music. My latest project is centered on the concept of a plea - how pleas move and stir our lives, the different pleas we implicitly/explicitly exclaim. I wrote a song about my immigrant kin called "Proper Place," which allowed me to discover that desiring belonging is not particular to the immigrant. At least 3 interesting/entertaining facts about the band related to persons/events in Washington DC area: -I was featured on the Washington DC headquarters CBS radio's "Weekend Round-Up Podcast"
Story behind your band/artist name: My mom named me Crystal, but has called me Crys as long as I can remember. At least 3 interesting/entertaining facts about the band related to persons/events in Washington DC area: Crys Matthews is one of the only artists in the DMV to play upside-down and backwards (a right-handed guitar NOT restrung, but played left-handed). Mark Williams is the genius behind Sucker Punch Recording Co. and has produced some of the DMV's best. Ben Tufts is not only one of the best drummers in the DMV, he also has one of the most impressive beards. He also does amazing work with the Craig Tufts Foundation (named for his dad). Anything else we should know, or you want to share: Crys Matthews is nothing if not ambitious. In August, she simultaneously released both a new full-length album, The Imagineers and an EP, Battle Hymn For An Army Of Lovers. These collections showcase two sides of Matthews’ dynamic songwriting; The Imagineers is a selection of thoughtful songs about love and life while Battle Hymn For An Army Of Lovers tackles social justice themes. In August 2015, Matthews released an EP called The Izzle Ballads, vol. II. Just as in the first installment, Matthews sings about hope, love, perseverance and justice with an ease and candor that one might expect from a southeastern North Carolina native whose mother happens to be a preacher. She has four other releases under her belt to date. What part of the DC region is the artist tied to and how? Where is the artist's current home base if not DC : Fairfax area (Blayne went to GMU and Eric grew up there!). Right now we're based in Fredericksburg. At least 3 interesting/entertaining facts about the band related to persons/events in Washington DC area: We're all huge fans of (most) DC sports teams, tragic as that may be every year. In a past life, we were members of In Alcatraz 1962 and Lets Be Honest, playing all over the area. We have recorded with Mark Reiter and Mike Monseur at Bias studios! Anything else we should know, or you want to share: Eric learned how to play upright bass for Cabin Creek and the music we're making now has also driven Blayne to learn piano and Travis to pick up the cello. Anything else we should know, or you want to share: GRAMMY Award Winner and Two-Time EMMY Nominee Dom Flemons is originally from Phoenix, Arizona and currently lives in the Washington, D.C. area. He is known as “The American Songster” since his repertoire of music covers nearly 100 years of American folklore, ballads, and tunes. Flemons is a music scholar, historian, record collector and a multi-instrumentalist. He is considered an expert player on the Banjo, Fife, Guitar, Harmonica, Percussion, Quills, and Rhythm Bones. In 2018, Flemons released his solo album titled Dom Flemons Presents Black Cowboys on GRAMMY Award winning record label Smithsonian Folkways. This recording is part of Folkways 70th Anniversary and the African American Legacy Recordings series in conjunction with the Smithsonian National Museum of African American History and Culture in Washington, D.C. The album has spent 31 consecutive weeks on Billboard Bluegrass and charted on both Folk radio and Traditional Folk radio charts. Flemons was featured on syndicated radio broadcasts World Café and NPR’s Here and Now to discuss the history of black cowboys and the new record. Flemons’ website TheAmericanSongster.com was selected by the Library of Congress for inclusion in the American Music Creators Web Archive. 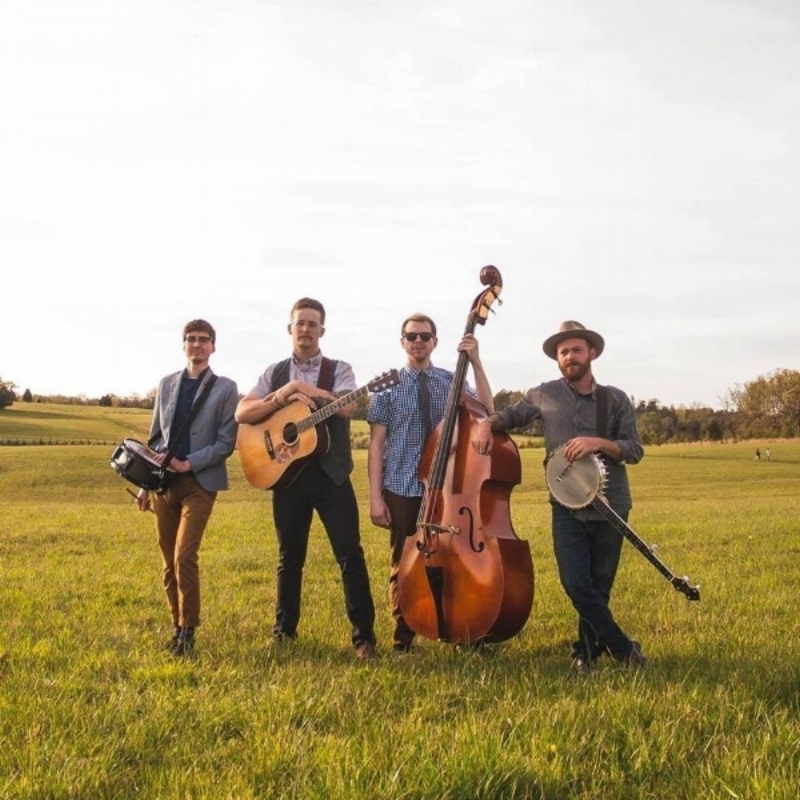 Flemons has performed with leading musicians such as Old Crow Medicine Show, Taj Mahal, Guy Davis, Mike Seeger, Joe Thompson, Martin Simpson and Boo Hanks. He’s been a professional touring musician for the past ten years and has traveled around the nation and the world presenting traditional folk and roots music to diverse audiences. He’s performed as a soloist at prestigious venues such as Carnegie Hall, Cecil Sharp House, the Grand Ole Opry, the Opening Ceremony for the National Museum of African American History and Culture, National Cowboy Poetry Gathering, Newport Folk Festival and represented the United States at the 2017 Rainforest World Music Festival in Kuching, Malaysia. In 2017, Flemons was featured on David Holt’s State of Music on PBS and performed as bluesman Joe Hill Louis on CMT’s original hit television show Sun Records. In 2016, Flemons released a duo album with British musician Martin Simpson titled Ever Popular Favourites, on Fledg’ling Records. Flemons launched a podcast, American Songster Radio, on WUNC Public Radio and filmed two instructional DVD’s through Stefan Grossman’s Guitar Workshop. In 2014, he released a critically acclaimed solo album Prospect Hill through Music Maker Relief Foundation. In 2005, Flemons co-founded the Carolina Chocolate Drops who won a GRAMMY for Best Traditional Folk in 2010. He left the group to pursue his solo career in 2014 and in 2016 the Carolina Chocolate Drops were inducted into the North Carolina Music Hall of Fame.